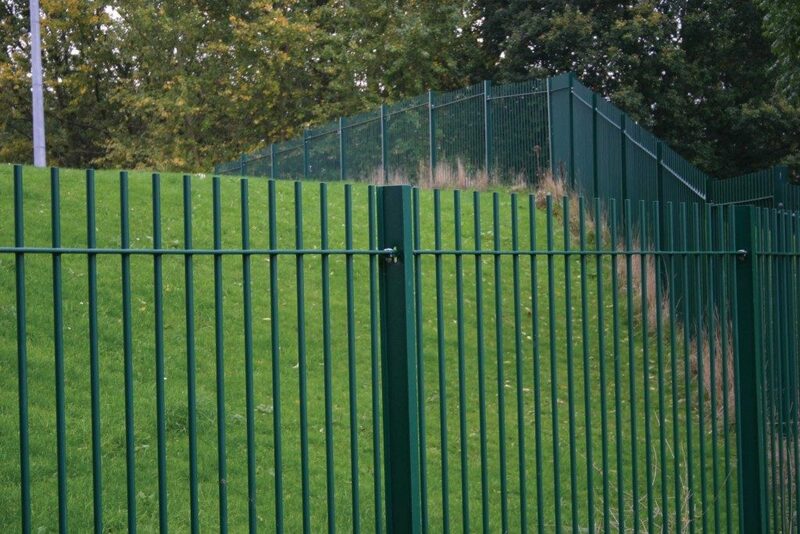 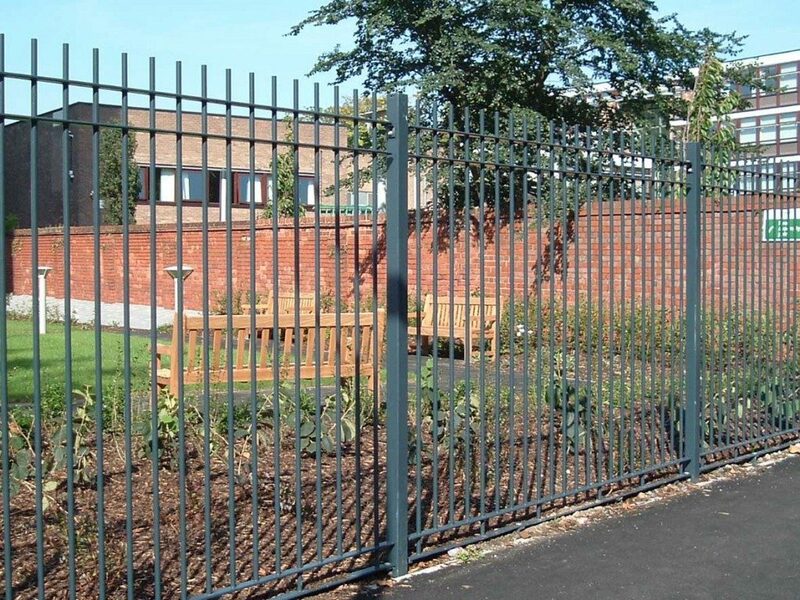 When a traditional, long lasting , solid boundary fence is required, choose IAE Vertical Bar. 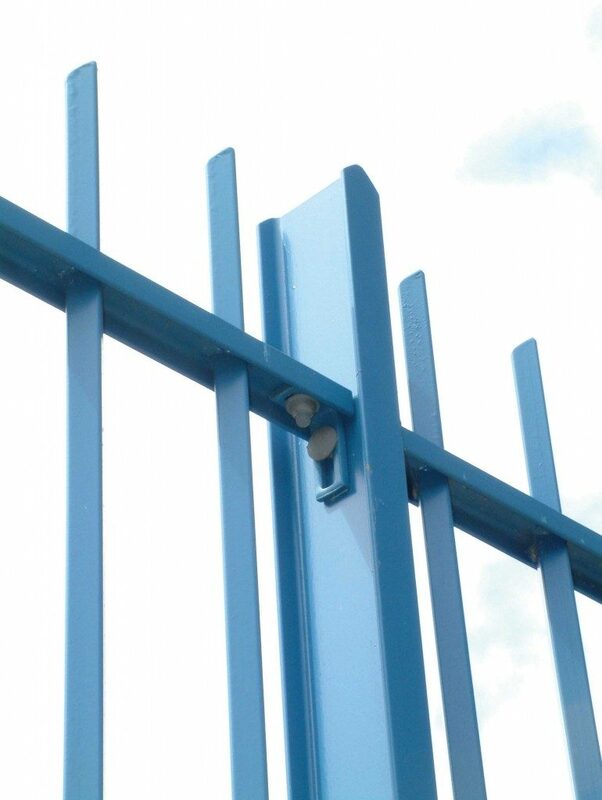 Ranging in height from 1.2m to 2m, it is available with blunt, spiked and domed tops. For a more individual appearance, cranked, convex or turret options are available, non-standard length, raked, radiused or stepped panels can be manufactured to suit individual requirements, along with matching gates in any width or height. 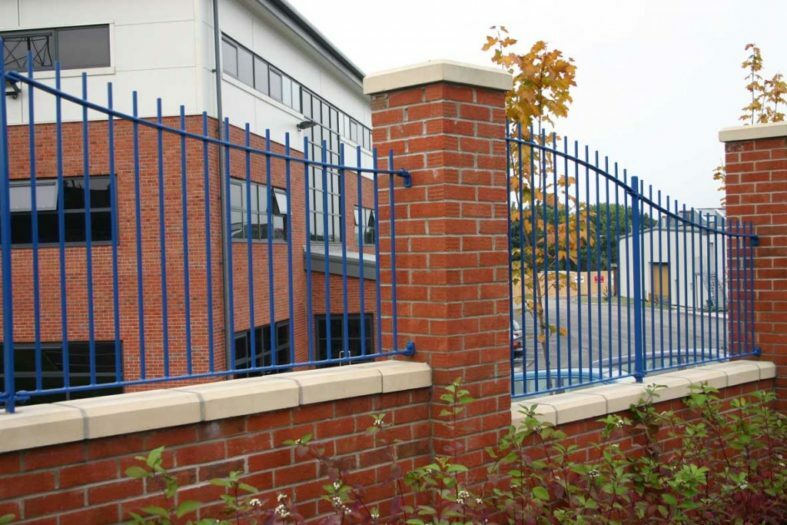 The railings are supplied as standard using square hollow section or rolled steel joist posts with angle cleats and security fixings. 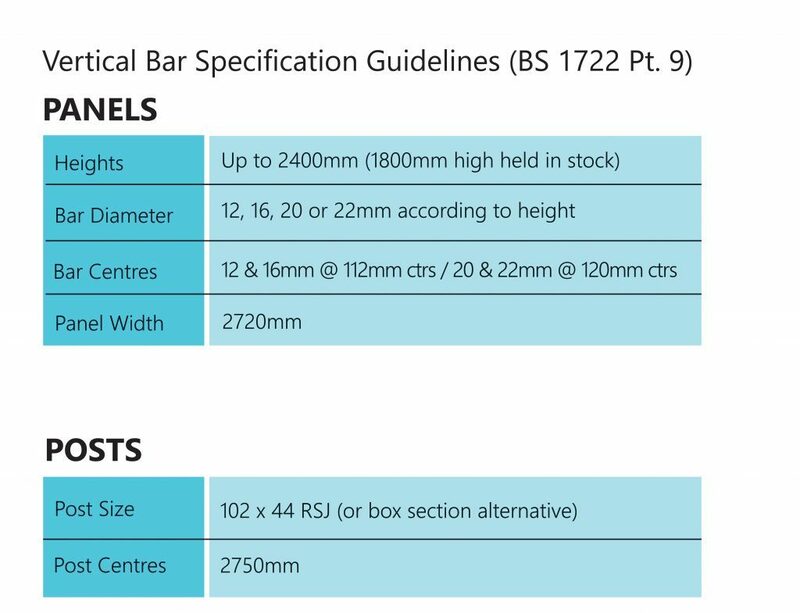 Round bar verticals spaced with maximum gap of 100mm, square bar verticals can also be supplied if specified. The bar size increases with the height of the fence to comply with BS 1722 Part9. We can supply a complete range of gates to match each design. 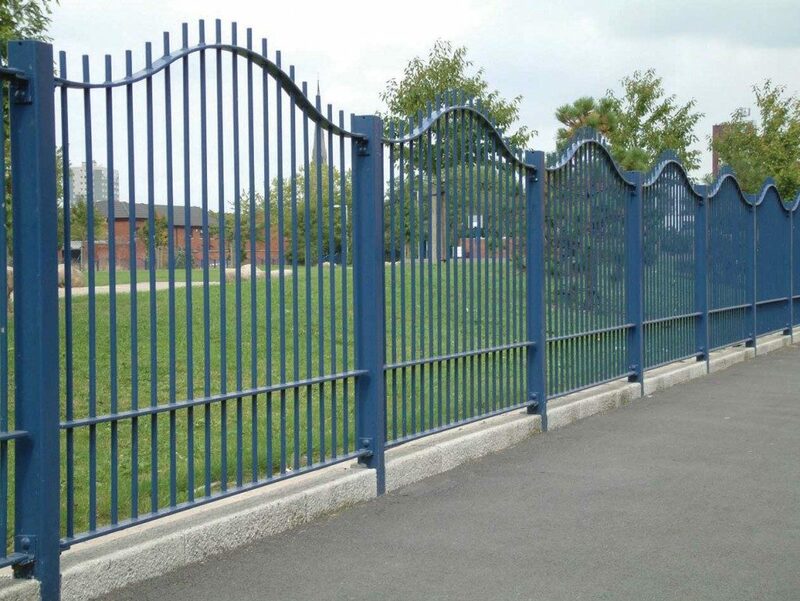 Single leaf, pairs and cantilever/sliding gate options are also available. 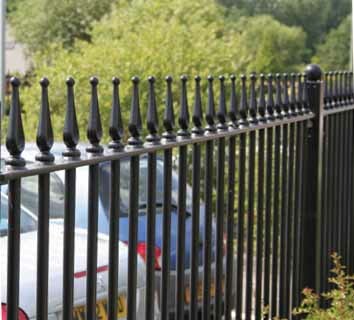 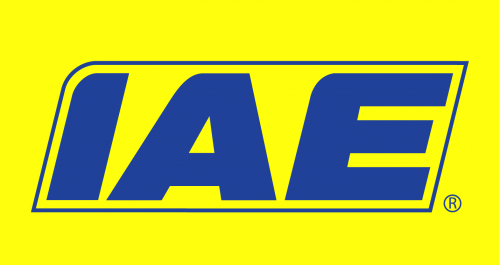 By the addition of one of IAE’s finial heads, it can be further enhanced to become an extremely attractive feature fence. 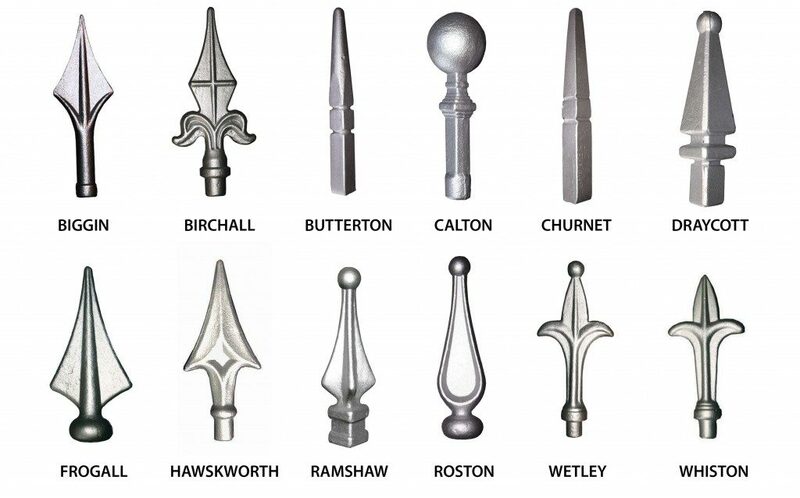 Other standard designs are available and finials can also be manufactured to match your design if necessary.